When it comes to choosing the best CMS platform, there is always a confusion of what is the easiest and friendly CMS platform for developers. In this article, we will be looking into how to choose a CMS platform based on the requirements of the application we develop. A CMS is defined as a system that can manage the creation and modification of digital content. CMS platforms are widely used these days when it comes to web-based application development. Most CMS are used since it doesn’t need to be coded from the scratch and it has templates and support for design such as drag and drop design features. 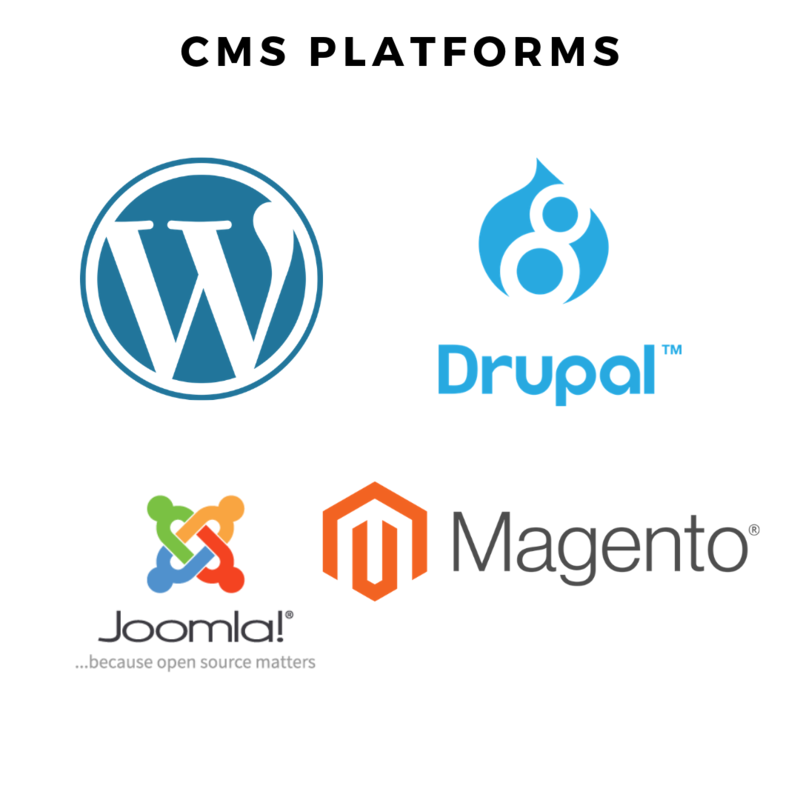 One of the main things to consider when choosing CMS platform is could these CMS fulfil the requirements of the application. Certain applications tend to complex as it evolves and it’s important that the correct CMS platform is chosen in such situations to adapt to future changes. Separation of content and presentation. Does it have the capacity to handle requirement changes and extensibility? WordPress is a free and open source based CMS platform, which has been developed on PHP and MySQL. WordPress features such as plugins, templates, e-commerce integrations, mailing list, forums, payment gateway integration. WordPress is the most used CMS platform, it is used by more than 60 million websites worldwide including 30.6% of the top 10 million websites as of April 2018. When it comes to developing a simple static website or a one-page website for a business entity to display some content, WordPress would be the ideal solution. Since it is very easy to setup and develop. You could find as much as many themes and templates that would support requirements for simple static sites. WordPress can also be used for e-commerce sites, by installing the woocommerce plugin. This plugin automatically setups the necessary requirements for an e-commerce store such us store backend, inventory management etc. WordPress is also used for certain complex requirements such as hotel bookings, websites for travel and tourism agencies etc. WordPress has evolved a lot in the recent times so that it could handle such a complex task. So, depending on your requirements, one could choose WordPress as the CMS platform for your next website project. Drupal is a free and open source based CMS platform which is also developed based on PHP. Drupal provides features such as user account registration and maintenance, menu management, RSS feeds, taxonomy, page layout customization, and system administration. Drupal is used mostly in developing sites for a blog post, corporate, political, and government sites. Developing a website using Drupal like other CMS platform requires no coding skills. Based on the requirements of a user and expertise Drupal can be used as a CMS platform. Joomla is a free and open source based CMS platform which is also developed based on PHP and uses MySQL as the database. Joomla uses object oriented programming techniques in its CMS platform. It has printable versions of pages and language internalization. Joomla stands out from all the other CMS versions is due to its efficient security mechanism. And these are not in the form of plugins. Joomla is the 2nd most used CMS platform. When it comes to developing web applications using Joomla, websites such as static sites, e-commerce websites, travel and hotel booking based sites etc. could be developed using Joomla. Umbroco is an CMS platform which is based on C# and deployed on Microsoft based infrastructure. When compared to other CMS platforms, Umbroco is known better for developing complex web applications. Umbroco has many easy to use API’s and also has the flexibility to write custom code on top of the CMS, which is very easy for developers to customize the CMS according to their requirements. Umbroco is widely popular CMS among larger enterprises. Based on the complexity of the requirements one could choose umbroco and develop on top of its basic features. And developers who are familiar with the Microsoft stack can take advantage of developing on this CMS platform. Finally, it’s hard to distinguish between the best CMS platform and the worst CMS platform. The CMS platforms that are mentioned above are all useful in its own way and based on the requirements and its complexity, it is the job of the developer to choose the right CMS platform that could meet his requirements. TELEXAR | COPYRIGHT 2018. ALL RIGHTS RESERVED.